The holiday break is over and the working world is now picking up pace. You dread having to go back to your office and face tons of work again. But don’t fret. 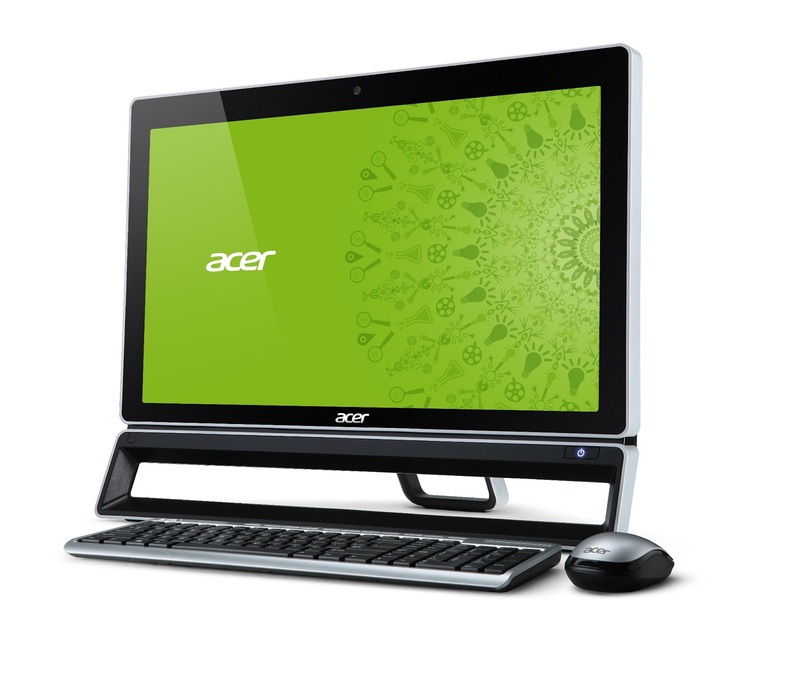 Enjoy the brand new year looking forward to a new life—and bring bang to the New Year by having the latest Acer Aspire ZS600 all-in-one PC in your home for the whole family to enjoy. Watch action-packed movies with your family. Download the latest movies you missed and gather your family members in the entertainment room during one lazy weekend. With a bowl of microwave popcorn or leftover ham, drown yourself in the majestic Hollywood orchestra music and virtual surround sound effects coming out of your PC’s Dolby Home Theater surround speakers. The ZS600 also has a 23-inch full HD LED-backlit LCD for ultimate viewing enjoyment without straining your eyes. The monitor can be tilted up to 20 degrees so you can enjoy watching your favorite TV shows or movies in comfortable angles. And, being wall mountable gives you the most of HDTV viewing right in your wall. The hybrid TV tuner supports global analog systems and digital formats DVB-T and ATSC, or if you have an external player or want to stream your downloaded video to a larger screen, the Z series has HDMI input and output ports. The PC also comes with its own Super Multi-DVD reader so you can launch your DVD movies immediately. Okay, your movie is now beginning. As they say, sit back, relax and watch the movie. Chat with friends you didn’t get to meet during the holiday break. The Aspire ZS600’s aluminum-framed integrated full HD 2MP webcam, microphone and high-definition speakers enable you to communicate clearly with relatives and friends from even across the globe. Now is the perfect time to catch up on experiences and adventures you’ve had during the past months, as if like talking to them face-to-face. With Bluetooth 4.0, you can share files and photos with your friends easily and connect to other Bluetooth devices faster. The Aspire Z has Intel’s 3rd-Generation Core I family of processors, and includes NVIDIA GeForce graphics support for the ZS600 and Z3770 models. Surf the Internet, do “Skype”or chat two times faster than conventional speeds. It can also transfer data to external devices ten times faster than the previous version of all-in-one PCs, thus, making it compatible with many new devices in the market. When wired via DSL, the PC provides high-speed connectivity with Gigabit Ethernet, and also supports 802.11a/b/g/n Wi-Fi, perfect for households with wireless networks set up. Play the latest games with your kids, nephews and nieces. If you have geeky relatives, this is the time to show them you weren’t born yesterday.Playing games will be doubly awesome with the ZS600’s faster performance courtesy of Intel Core i3-3220 processor and crisp graphics made possible by NVIDIA GT620 GeForce graphics technology. The wireless keyboard and mouse provides more freedom to the player. You and your playmates can move around in excitement while your cursors point to their targets without hassle. The PC can also be packed with other exclusive wireless accessories that match the device’s design, or you can even connect other HD media devices as well. Moreover, the Aspire Z series is already Windows 8-enabled and supports AcerCloud and also USB power-off charging. As a nice touch, you can even place the Aspire ZS600 in any corner of your house or room for comfort and convenience because of its slim side adumbration design. Indeed, the Aspire Z series is a full HD home media center that the whole family can use for whatever A/V or social networking activities you prefer. Let it bring the first burst of excitement into this brand new year for you and your family.